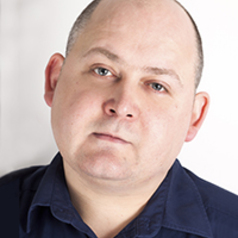 Karl Hodge is a former journalist, currently Course Director for BA Journalism, with research interests in narrative VR construction. Online since 1992, Karl Hodge has been charting the rise and fall and rise of the web since it all began. Firstly as an academic then as a journalist. He finally settled on being an academic. Karl has been writing professionally and teaching people about communication and technology since 1996. His work – over 2000 articles in 20 years – has been published around the world and translated into languages with different alphabets. Before that he taught people how to build the web, and before that he studied human-computer interface design and hypermedia at masters degree level. Karl is currently bringing all that experience together, researching video games and their design, looking at how the narrative techniques they use could help us make better virtual reality journalism.